Last year, in the middle of April I went to meet up with a guy for coffee. We started talking, as one does and he started telling me that he is a salsa teacher and that he organizes courses for beginners. I was never that interested in salsa, bachata or other such dances - me being more into rock and electronic music. In this instance, though my interest was piqued, this guy was a Japanese salsa teacher. In my mind, Japanese and Salsa somehow did not click. Japanese people are not known for having the kind of passion associated with salsa. They’re supposed to be passionate about other things. But because I do not like to take things “as is” or as society presents them, I wanted to get the full, real experience. I agreed to take part in one of his classes. When I got to the bar where the courses took place, I found myself in a room filled with guys and only a few girls. Such few girls, you could count the girls on one hand. My first thought was that I was in the wrong place because there are usually more girls at dance classes than guys. But when I saw my friend happily waving at me from across the room I knew I got the place right. I started to feel a bit awkward and unsure about how to move when the music started. After a little while though I realized that I was having fun which I wasn’t expecting. Everyone around me was in the same boat so it made no sense for us to feel tense, all that was left was to have fun. The instructor guided us through the basic steps with a lot of patience and jokes to help us relax. The best part was when we had to dance with a partner. Because we were only a few girls, we got to dance with everybody. By the end of the class, everybody was happy with a bit more confidence than when they started dancing. The night ended with everybody having a drink and chatting away. I was so surprised by the classes and by the person behind the idea, I decided to find out a bit more out about him. We’ll call him K.Y. Tell us a bit about yourself. Where do you come from and what are you doing here? K.Y: I am from Japan and I work in IT. I moved to Berlin last October. 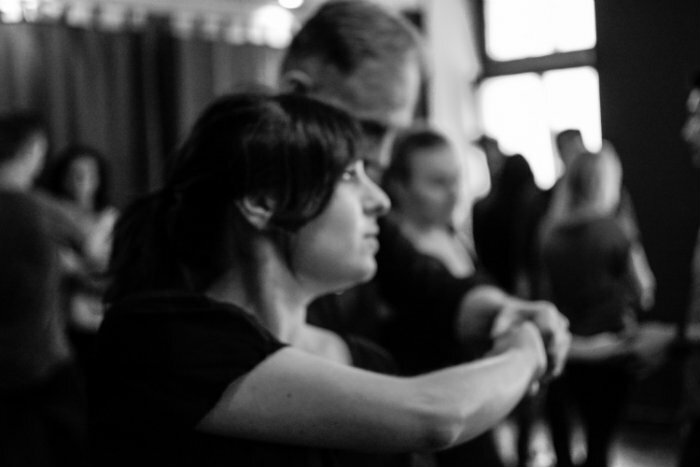 Why did you choose to dance and teach salsa? How did everything start? K. Y: First of all, I just wanted to dance salsa and find friends who also love salsa. I went to many parties and visited some salsa schools. From that, I met a lot of people from different nationalities. Somehow it didn’t work out as I expected and I didn’t make any good friends there. So I started my own salsa meetup to remedy that. How did these Sunday meetups start? What do you want to achieve through them? K. Y: I decided to organize these Sunday meetups at a café near Eberswalder Straße so that we can get to know more people and party together. Every time there were 10 to 15 people coming and finally, I started to make a solid group of friends. The people coming to the meetup are all beginners and they needed a teacher. I decided to teach everybody how to dance salsa, so we could all dance together. Do you have any plans for the future with these events? K. Y: I hope I can teach more people and spend more time with everyone. 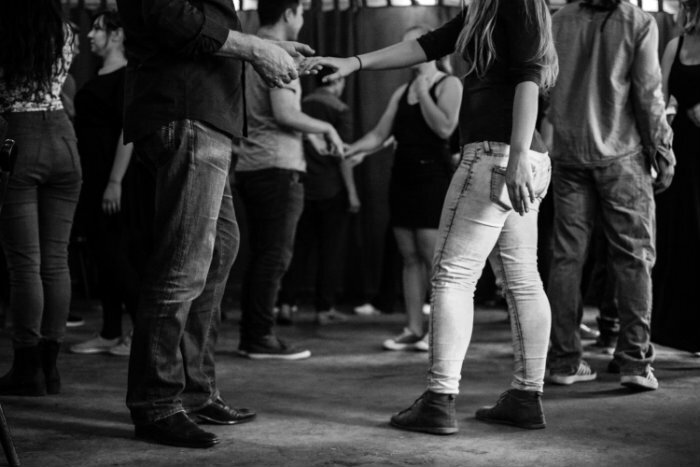 Where can people find more information about salsa courses? K.Y: They can find me over on Salsa in Berlin or on Facebook under International Salsa Meetup Berlin. The salsa classes are currently being held at the 800A bar in Wedding. 800A is a newly opened cafe, bar, and theatre with a light and cozy atmosphere. 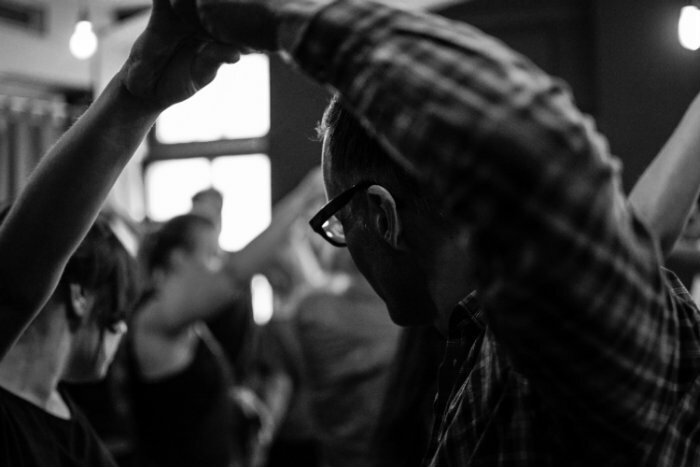 Not too big, not too small and perfect for bringing people together from different cultural backgrounds to bond through salsa. And yes, for the record, Japanese people and salsa go very well together.